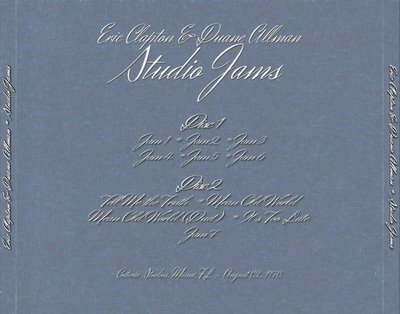 Eric Clapton & Duane Allman - Studio Jams. Recorded Live at Criteria Studios, Miami, Florida, USA - August 02, 1970. Notes: Tom Dowd is responsible for introducing Duane Allman and Eric Clapton. 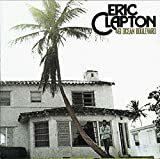 In 1970, Dowd was in the middle of recording the Allman Brother’s second album, Idlewild South , when Eric’s manager (Robert Stigwood) called to tell Tom that Eric would like to bring his new band, Derek and the Dominos, to Criteria Studios in Miami, Florida to record with him. Tom later recounted the phone call that began it all. Now when the call came I was in the studio with Duane. I said, Hey, that's a hot one, kid! That was Eric Clapton's management talking about him coming here to record. Allman looks at me and goes You mean the guy from Cream? Do you think he'd mind if I just came to watch. I told him, no problem. Eric and the rest of the Dominos arrived at Criteria Studios in late August. During the first week, most of the studio time was spent jamming and piecing together new songs. (Taken from whereseric.com).